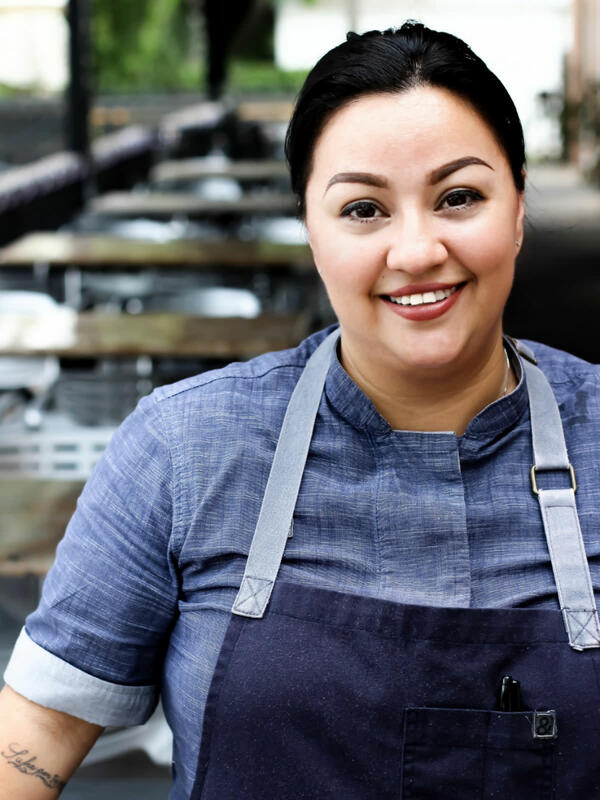 Trinity Groves restaurant incubator Kitchen LTO has a new chef: Anastacia "AQ" Quinones, whose reign begins on June 2 and extends through the end of 2015. She's the fifth winner at Kitchen LTO, following current chef Blythe Beck, whose last service will be on May 31. A graduate of the Culinary Institute of America, AQ has been teaching a culinary class at Moises E. Molina High School, where she and her students have successfully implemented a fully functioning kitchen that serves 60-100 people per day. 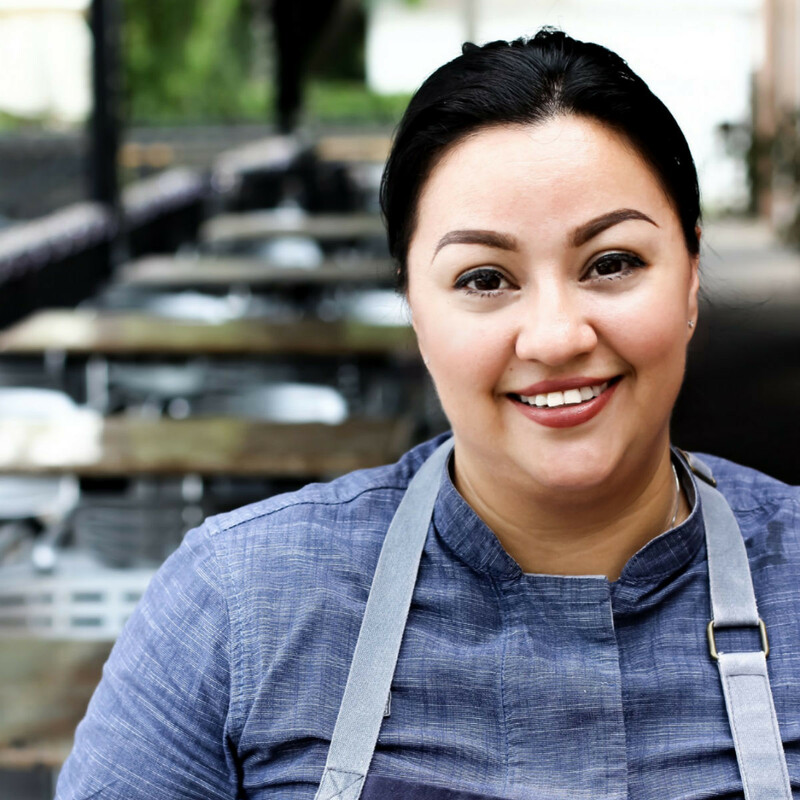 Her "modern Mexican" menu is anticipated to pick up where she left off with Alma and Komali, two restaurants where she previously worked. She'll be joined at Kitchen LTO by acrylic painter Crimson Shults, who won the artistic component of the competition. The Mercury has a new sushi lounge taking over the space that was previously the Side Bar. Chef is Roger Man, formerly of Nobu, who worked with Mercury owner Chris Ward at Citizen. Sushi at The Mercury is open for dinner only, serving sushi, sushi rolls and sashimi dishes. Lark on the Park has new spring menus. New at dinner are curry pillows, tako poke, beet chitarra and halibut. New at lunch are an asparagus tart and a 10-ounce pork chop. Truck Yard is now serving Sunday brunch from 10 am-2 pm. Three brunch trucks will serve eggs, bacon, brisket hash, and chicken and waffles, and Hypnotics Donuts will serve doughnut holes. Standard Pour has a new brunch menu, served Saturday and Sunday from 11 am-4 pm. Chef Cody Sharp is doing Southern dishes such as quail and waffles; Benedicts with collard greens; doughnuts; chicken biscuit; a breakfast sandwich with bacon, ham, scrambled egg, avocado, tomato and cheddar on a croissant; and chilaquiles. Rahr & Sons Brewing Co. is releasing its Rahr's Blonde in limited-edition photo cans in late May. The label features the image and signature of owner Fritz Rahr's mother Jodell, who was a model and second runner-up in the 1952 Miss Universe pageant. Rahr's Blonde is a Munich-style helles lager. Zoës Kitchen opens another its 39th location in Texas at 3878 Oak Lawn Ave. Crisp Salad Company opens a second branch at the Shops at Park Lane. On the Border is offering a new creation called Border Bowls, with cilantro lime rice, black beans, bell peppers, queso fresco, lettuce, pico de gallo, avocado and roasted red chile-tomatillo salsa. Four options include steak, chicken, shrimp and portobello mushroom. Cheddar's Casual Cafe is undergoing a name change. 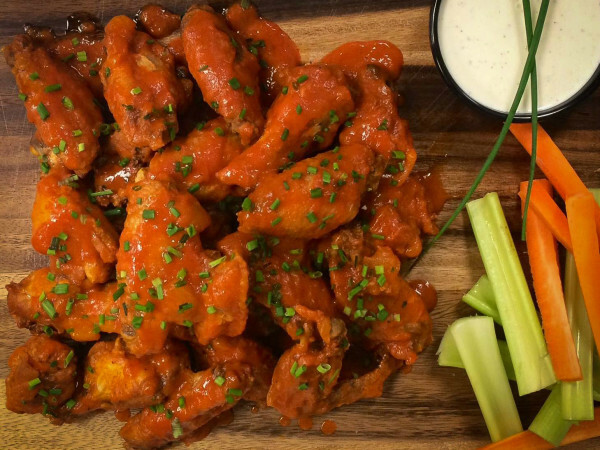 The new name, Cheddar's Scratch Kitchen, is part of the Irving company's campaign to highlight its handmade menu, an important element of the 36-year-old brand that first opened its doors in Arlington in 1979. 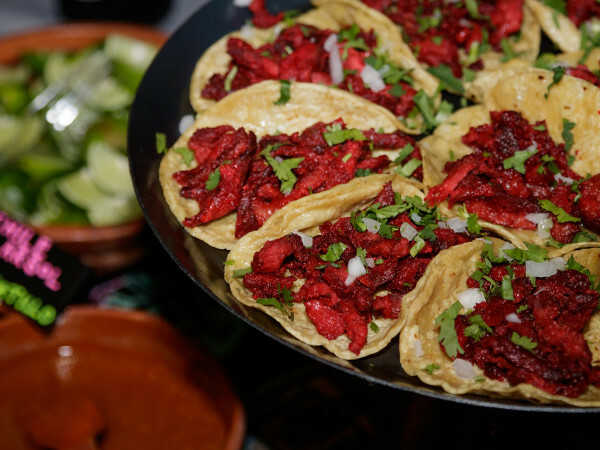 The former Scotch & Sausage is now called Le Taco Cantina, and it serves tacos, tortas and mezcal. Yumilicious will launch a lychee flavor in its boba tea line this May at participating locations in Dallas, Richardson, Allen, Plano, Las Colinas and Arlington. The teas are brewed daily with premium loose leaf black tea. Optional add-ins include boba soaked in honey and brown sugar, popping boba filled with fruit juice, mango jelly, and strawberry jelly. Hostess Brands has added sea salt caramel versions of CupCakes and Zingers, available through July 31. The Sea Salt Caramel CupCake is a golden yellow cupcake with caramel creme filling and caramel frosting. Sea Salt Caramel Zingers are a chocolate cake with creme filling, topped with caramel and covered with chocolate. Both are sprinkled with sea salt. Its limited-edition Red Velvet CupCakes will become a permanent item. Starbucks has added a smaller-sized 10-ounce mini Frappuccino available through July 6. It's two ounces smaller than Starbucks' smallest drink, the 12-ounce beverage known as a "tall." Starbucks also has new limited-edition bakery items for the summer: S’mores tart; Frappuccino sugar cookie with chocolate and vanilla icing; red berry cheese Danish; raspberry swirl pound cake; and a cookie straw, a rolled sweet wafer biscuit lined rich chocolate ganache. 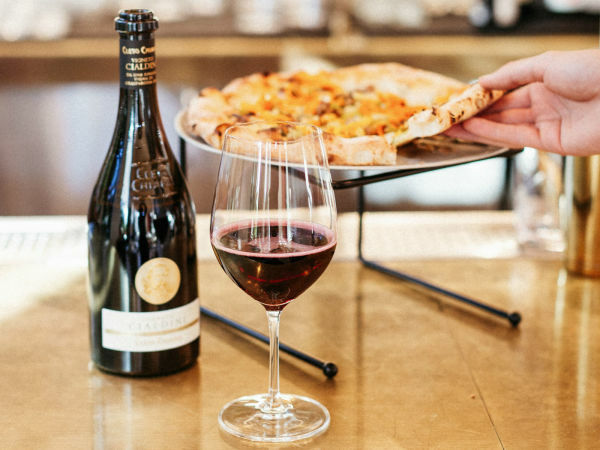 The Oceanaire and Morton's The Steakhouse now have the Coravin Wine Access System, which allows wine to be poured from a bottle without ever pulling a cork, thus saving the wine from being exposed to oxygen and preventing the oxidation process from occurring. It allows the restaurants to serve more expensive and prestigious wines by the glass. FireWheel Brewing has replaced its brewing gear to improve the quality of its beers. It also has some summer seasonal flavors, including A-Sake-Son, a mosaic-finished Sake Saison Ale; Bulls IPA; and Redneck Redemption, an imperial India red ale with 9.3 percent ABV. After a listeria outbreak that killed three people, Blue Bell laid off more than a third of its employees and won't have ice cream in stores in the near future. According to a report by the Food and Drug Administration, Blue Bell knew that its plants tested positive for listeria as far back as 2013. The company cleaned the surfaces where the listeria was found but didn't make any other adjustments in its procedures.